Put down your Stan Smiths, demote your classic Vans, and chuck your Converse to the back of the wardrobe, as we predict that the old-school Nike Air Max sneakers are set to make a return. Thanks to the website Ly.st, which is an online shopping destination and trend predictor, we can also see what people are shopping and searching for in real time. Over the past couple of days, we've noticed that Nike Air Max continues to be the most-searched for trainer in the women's section. Now, as fashion's love affair with sneakers isn't going away anytime soon, we reckon it's a safe bet that these Nikes are about to be everywhere. To see if this was the case all over the UK, we even checked it out in Google Trends to double-check out predictions, and it told us the same story. Over the past week alone, Nike Air Max has been searched for three times more than Stan Smiths. Which, as we said, can only mean one thing. So, how do you wear yours? Well, we like them paired with a skirt or a midi dress, but a culotte would work just as well. Keep scrolling to shop our favourite pairs of Nike Air Max. Wear with jeans or a skinny pair of leather trousers. Keep these bright white, and you'll wear them with everything. 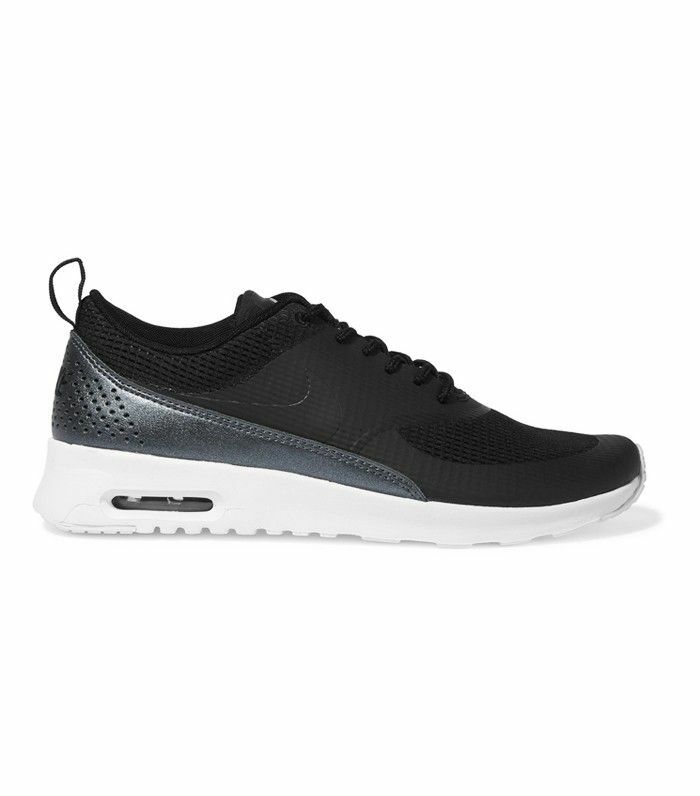 Opt for a monochrome look with these trainers to make a statement. Black will work with everything in your wardrobe. For the muted colour lover. Want more fashion news? Check out the four London Fashion Week trends that just changed everything.